Jeffrey Kahn: Professor of bioethics and public policy and the deputy director for policy and administration at the Johns Hopkins Berman Institute of Bioethics. Lori Andrews: Professor of law and director of the Institute for Science, Law and Technology at ITT-Chicago Kent College of Law. She has also filed an amicus brief (friend of the court brief) in the Supreme Court case. About 20 percent of human genes have been patented by private companies, universities or the government. The ACLU, however, is challenging these patents in a case that the Supreme Court will hear next week. Myriad, one of the companies at the center of the case, owns patents of two genes that have been linked with hereditary forms of breast and ovarian cancers. 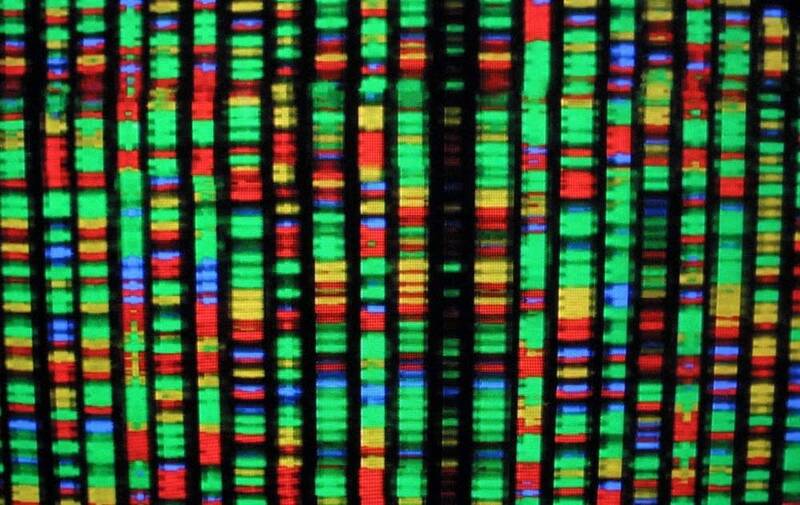 The company has a monopoly on tests for these genes, for which they charge thousands of dollars. In the past three years, the company has made more than $1 billion from the tests. Not all gene patents are exclusive. For example, in 1989 a group of researchers including Francis Collins, the current director of the National Institutes of Health, "placed a non-exclusive license on the CFTR gene linked with cystic fibrosis so other researchers could develop their own tests; as a result, at least 60 laboratories in the U.S. now [work with] the gene," reports PBS' Nova. THE TAKEAWAY: Caller puts the human cost in stark terms. A caller in Minneapolis told a personal story of dealing with Myriad, the company that controls the two breast-cancer genes. Her doctor and genetic counselor have both suggested that she send a blood sample to Myriad to be tested. "In my family, many women on both my father's side and my mother's side have died of breast cancer at earlier ages," she said. But she can't afford the $4,000 that Myriad charges for the test. "My insurance company won't cover that," the caller said. "And because they're the only group in the country that does this testing, essentially I have to decide whether I'm going to pay the $4,000 to get this testing, or just not know. Because I won't be able to find out any other way." Kerri Miller asked, "So have you made up your mind?" "I haven't, yet, because I don't know if the knowing is worth the $4,000 or not," she replied. "I don't have that. I didn't realize until I had started this process that I really had no other option except this one lab, and if that didn't work, then I just have to move through life knowing that I can't get all the information regarding my health." Bioethics Prof. Jeffrey Kahn pointed out that, while Myriad was responsible for setting the high price of the test, it was the caller's insurance company that had declined to pay. Miller asked, "Has your insurance company told you why they won't pay?" "Because I don't have cancer yet," she said. Law Prof. Lori Andrews suggested that the caller's story illustrates a threat to some of the promises of modern medicine, such as "a $1,000 genetic screening test that would test all 20,000 of our genes." "If you could have the test itself for $1,000, you could engage in all sorts of preventive behaviors," she said. "Maybe give up smoking if you show a predisposition to lung cancer. But if every gene cost a $4,000 royalty, essentially, to be tested, that 20,000 [gene] test is going to be unaffordable." • Are Gene Patents Standing in the Way of Personalized Medicine? An in-depth look at the issue from PBS' Nova. • Intellectual Property and Genomics A primer from the National Human Genome Research Institute.